Want to connect with Loretta? 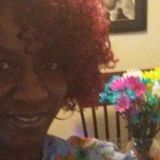 Hi my name is Loretta Bettis and I have years of experience of working with the elderly. I'm a certified nursing assistant I have CPR and first aid training I'm dependable. I'm a great companion for your loved one, I do personal care, I drive them to the doctor's appointment ,hair appointments and any other appointment that is needed. Also I do light housework and laundry. I am comfortable doing post operation care, simple dressing, and tube feeding. Further, I have a drivers license. With respect to previous experience, I have years of experience.